Minnesota based manufacturer of rugged off-road vehicles Polaris Industries recently announced that it had been awarded a contract from the United States Special Operations Command (USSOCOM) to provide MRZR2 and MRZR4 Lightweight Tactical All-Terrain Vehicles (ATV). 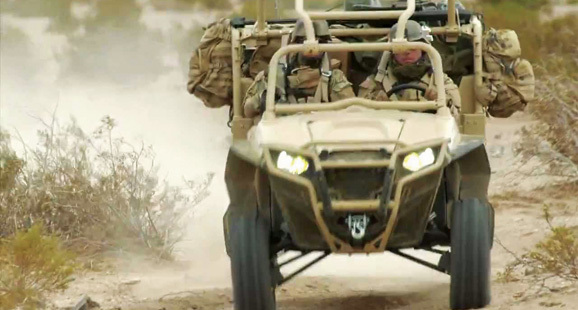 The MRZR ATVs are designed to be transportable via the CV-22 Osprey VTOL airframe. They are multi-configurable off-road platforms, and will be supplied with accessories, spare parts, mechanical and operator training. This award comes on the heels of a previous five-year contract awarded to Polaris back in August 2013, to provide MV850 ATVs to USSOCOM. From four-wheeled to four-legged support, USSOCOM also recently announced joint training with Marine Corps Forces Special Operations Command (MARSOC) of multipurpose canines (MPC) to ensure that the dogs used by MARSOC are up to USSOCOM standards. 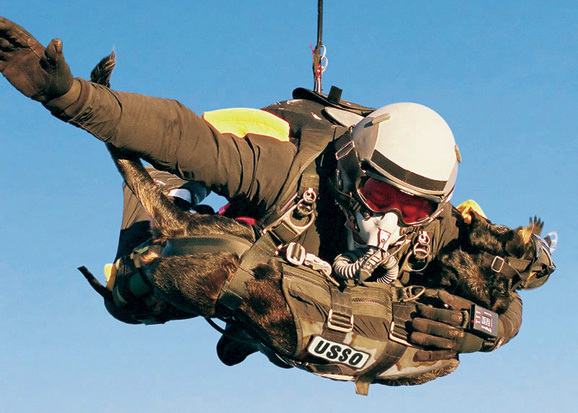 The purpose of the joint training operation was to prepare the dogs and their handlers for SOF missions that require fast roping and Special Patrol Insertion/Extraction (SPIE). And that means these “canine commandoes” were put through their paces! Though using fast roping and SPIE techniques with dogs is not new in the US SOF environment, this is the first time the MPC program has been expanded to include a Marine Corps unit. The MARSOC program merges the fast rope, rappel and SPIE training into one program to meet SOCOM standards, according to a senior instructor at the Marine Corps Special Operations School, Camp Lejeune, NC.